When will be Saturday AM next episode air date? 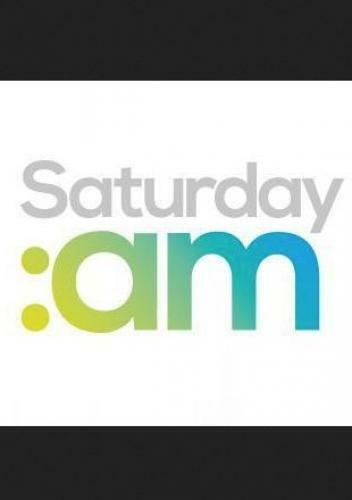 Is Saturday AM renewed or cancelled? Where to countdown Saturday AM air dates? Is Saturday AM worth watching? Hosted by TV3 favourite Anna Daly and well known actor/director Simon Delaney Saturday: AM will be a light hearted and lively mix of lifestyle items, cooking and fashion. While Anna and Simon will be live from the HD studio, reporter Laura Woods will travel the country covering what's on and when and Tommy Martin will also be in studio covering all the latest sports news, in depth analysis and much more. With celebrity guests and special ‘retro' theme shows planned, Saturday: AM will bring a new energetic start to everyone's weekend. Forget the lie-in, waking up on Saturday has never been such fun. Broadcasting Live from the TV3 HD Studio, anchors Simon Delaney and Anna Daly provide a light hearted and lively mix of lifestyle items, cooking and fashion every Saturday between 9am and 12 Midday. Saturday: Am reporter Laura Woods will travel the country reporting on what's on and when it's on, while Tommy Martin will be covering the world of sport - with interviews, previews and a celeb panel. With celebrity guests yet to be announced, and special 'retro' theme shows planned, Saturday: Am will bring a new energetic start to everyone's Saturday. Saturday AM next episode air date provides TVMaze for you. EpisoDate.com is your TV show guide to Countdown Saturday AM Episode Air Dates and to stay in touch with Saturday AM next episode Air Date and your others favorite TV Shows. Add the shows you like to a "Watchlist" and let the site take it from there.